I still haven’t been able to read a single issue from the resurrected Valiant Comics. The reviews are good, the fans reactions are great, it apparently sells quite well, and one could argue that reading comics is my job… but nope. Writing for WORG and running the site just takes too much time. 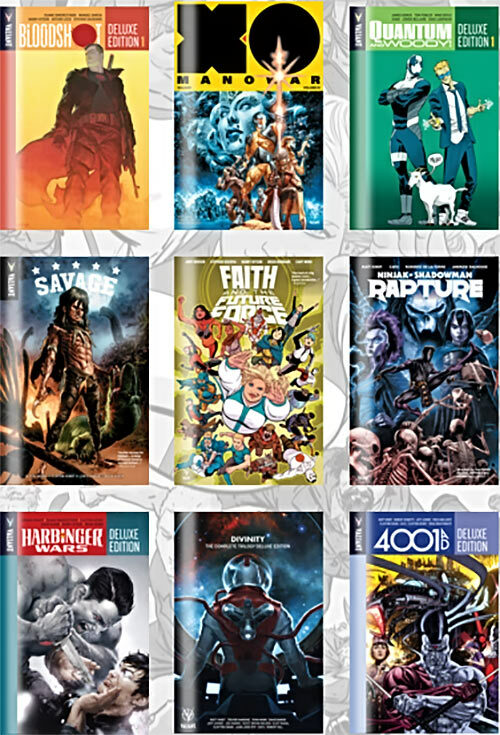 Most of the titles in the bundle are the resurrections of the Valiant of old (Shadowman, X-O, Bloodshot, Ninjak, etc.) with the new takes (such as Faith playing a more central role among Harbingers). This is an affiliate link. The two parties getting a cut are the Keep A Breast charity, and Writeups.org.